Valor and sacrifice are two highly prized virtues that many of our service men and women exhibit daily! 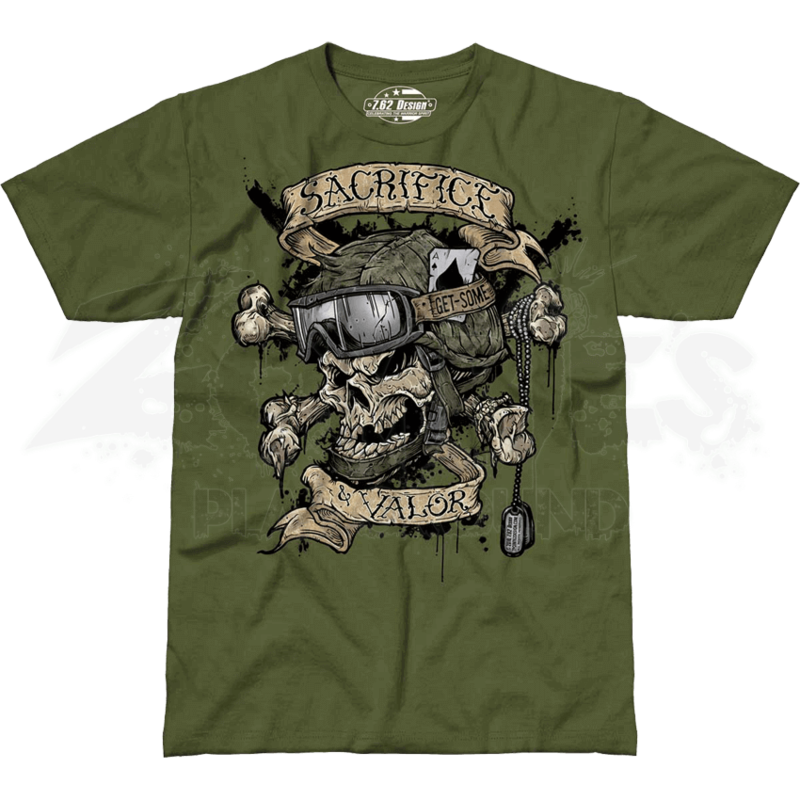 The Sacrifice and Valor Premium T-Shirt displays the stylized grinning skull of a soldier with both qualities in spades. 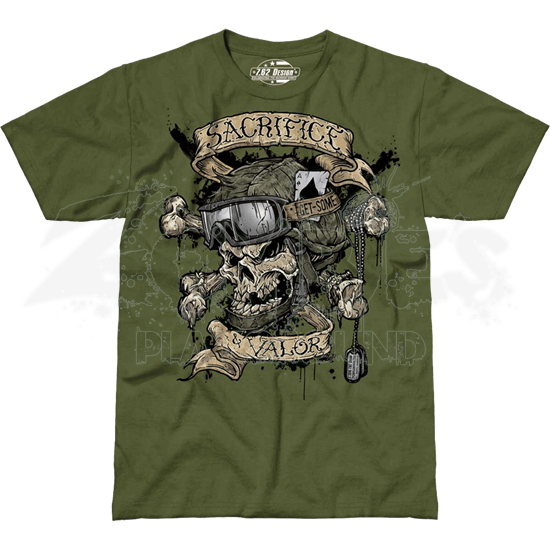 This patriotic shirt features a skull and crossbones wearing the helmet and goggles of a soldier, along with an Ace of Spades playing card tucked into the goggle band. Dog tags dangle from one end of the crossbones. A ribbon banner twists around the graphic, reading the words, SACRIFICE and VALOR. Somebody has to lead the way when it comes to showing a little bit of patriotism, and you can do just that when you wear this military t-shirt.